Today Rheinmetall formally transferred a new nautical training facility to the German Navy School in Mürwik on the Baltic. 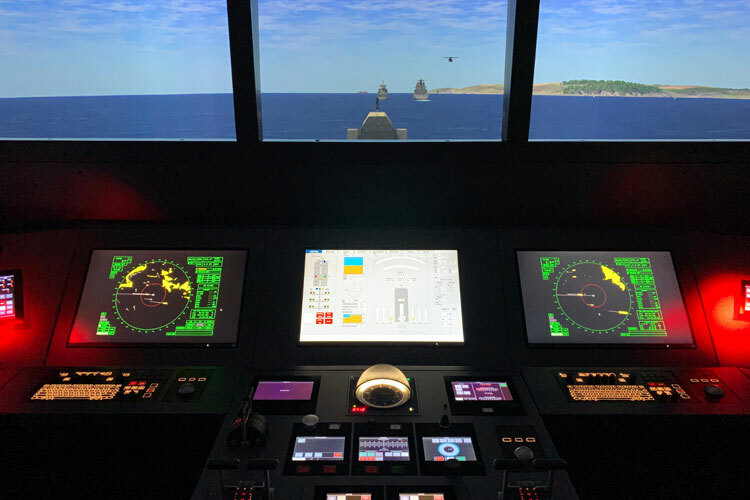 Press Release, 06 December 2018: One of the most advanced facilities of its kind, the German Navy will use the state-of-the-art ship’s bridge simulation for training its bridge personnel. 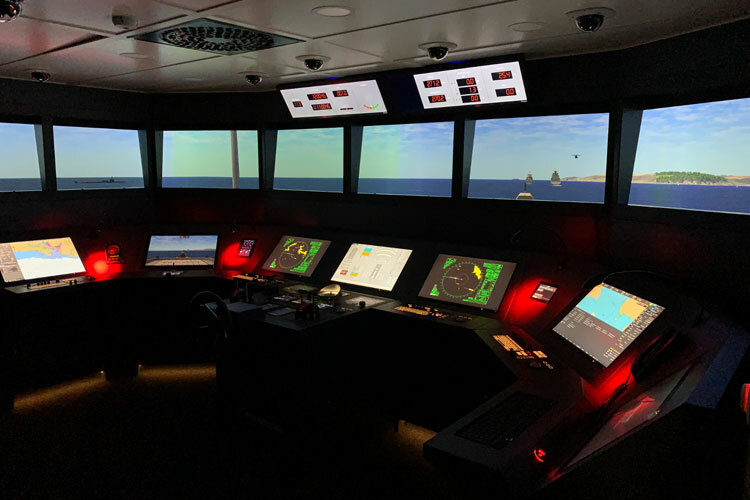 Ordered almost exactly three years ago, the system – known as the Ausbildungsausstattung Nautische Schiffsführung, or AANS – will be used for training all German Navy cadets, all future watch officers, and for preparing bridge personnel for nautical operations. The capability spectrum ranges from basic navigation and nautical training through to crew resource management, e.g. for helping bridge teams prepare for operations. 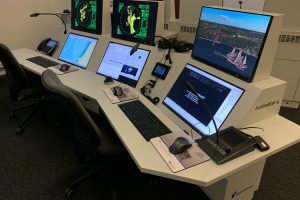 The AANS includes two large and four small bridge simulators, six trainer stations, an auditorium for post-operation briefings as well as additional infrastructure for planning exercises and administrating and updating the database. Every surface combatant now in the German inventory – from minesweepers to supply ships – is modelled in the AANS. This applies not only to the physical depiction of various ships and boats, but to their exact performance characteristics. In addition, numerous German and NATO maritime training areas are replicated, as are current and potential areas of operation.